The Interrupters will we be doing a short run of dates this November through California as well as a date in Vegas and one in Arizona. Joining them will be Bedouin Soundclash and The Bar Stool Preachers. 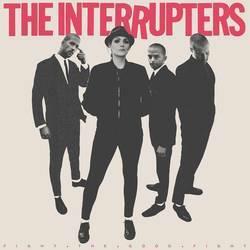 The Interrupters are currently supporting their new album, Fight the Good Fight -- out now via Hellcat and Epitaph Records. Bedouin Soundclash just released their new single, "Born into Bad Times" Check out the single and dates after the jump.